A selection of high-quality blue copy paper for your office is available now from Papermilldirect. 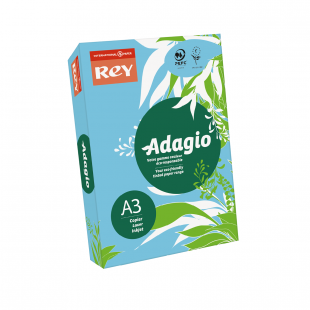 Manufactured by brand leader Rey Adagio, blue tinted paper not only looks great for use in school craft projects and the like, but also assists with the organisation of documents and enables better communication. Text that’s printed on a coloured backdrop can sometimes help dyslexic readers, so there are plenty of practical reasons to be using paper that’s not the usual white hue. One of the most popular colours, blue paper reams are ideal for use as dividers, posters, or to create leaflets, reports, brochures and the like, and are also made from sustainable forests to set your mind at ease. Rey Adagio’s blue printer paper range is guaranteed for both laser and inkjet paper, and we stock shades that vary from bright blue to deep blue, so you can select the particular one that best meets your preferences. 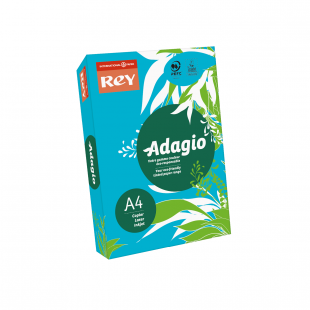 Because it’s suitable for inkjet usage, features like smoothness and finish are refined as much as possible, and the paper is created to accept bold ink pigments that dry as quickly as possible. Our blue paper reams have up to 500 sheets of 80gsm or 160gsm paper enclosed, and come with PEFC™ or FSC®, EU Ecolabel and ISO 9706 standards of accreditation. 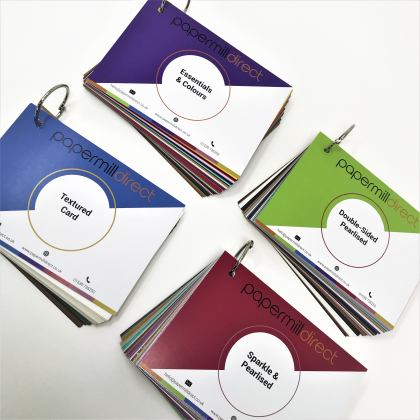 When you buy blue copy paper from Papermilldirect, you’re buying from one of the leading online craft stores in Europe, and if your order totals £60 or more you can usually count on FREE delivery too (as long as you’re located on the UK mainland). If you regularly need to purchase wholesale paper and own a business or school, then investigating one of our Trade Accounts also comes highly recommended. By taking advantage of one of these, you can save as much as 40% when you buy in bulk, which results in our prices working out as even more competitive. 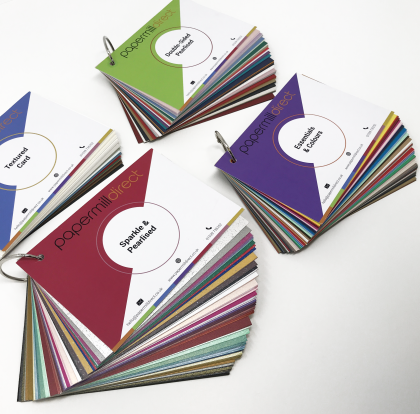 If you would like to know more about any of our options for blue paper, or need further information about some of our other craft supplies, just call our team between 9.30am – 5pm on weekdays, or contact us online and we’ll be happy to help.